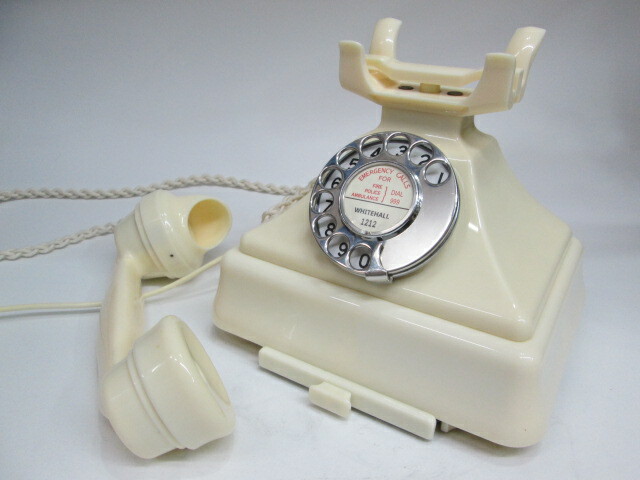 This page contains information about vintage/ antique Bakelite GPO telephones. However please be aware our original vintage GPO telephone "for sale" website was moved 9 years ago and we now have two separate websites selling Antique and Vintage telephones. Choice one, if you are interested in buying a restored and serviced vintage telephone please visit our main site Abdy Antique Telephones. 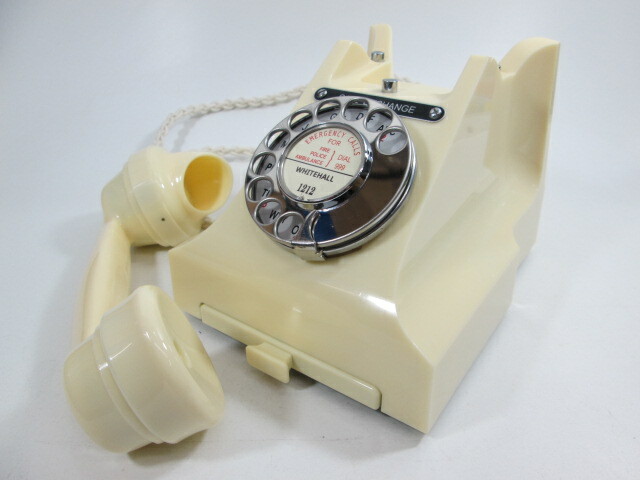 Choice two, if you interested in an refurbished original but re-cased 1970's/1980's genuine retro/vintage telephone we sell these on our other sister website Abdy Retro Telephones. Unlike many other telephone restorers we keep these two websites separate, this is to help people distinguish the fact that the refurbished re-cased 746 telephones have more replacement parts. However it is worth pointing out that any and all of the parts that are replace as part of the refurbishment are made in the UK (with the original case mouldings etc) Please check out the two sites for more detail. These types of period Bakelite Telephones are becoming increasingly rare and are getting hard to find in reasonable/good condition. All these old telephones are particularly collectable if they have been converted and serviced so that they will function properly when connected to any modern telephone exchange in the UK. People in general love the idea of a classic piece of technology that still works today as good as it did in the past and that does not mater whether that telephone comes from the early 1930's or the late 1970's. Please note that this is our old original Vintage /Antique Telephone website, our new and improved website can be reached by clicking on the telephones you see pictured on this old site. 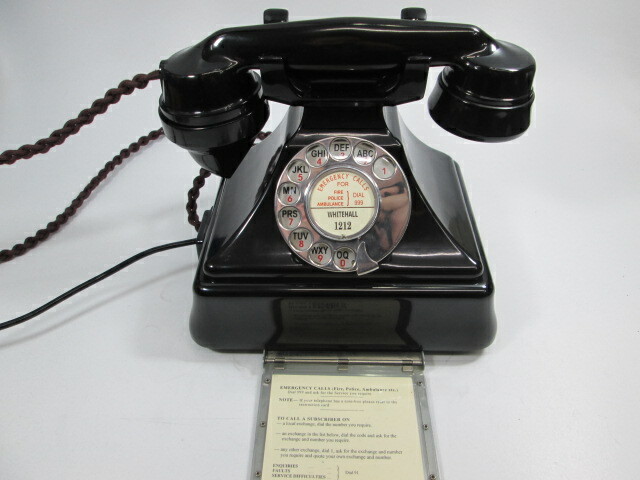 On our new vintage GPO telephone site you will find highly collectible old working Vintage Telephones for sale. Please see our FaceBook site for more information. These old dial telephones are circa 1910-1960 with a small number of 1970's (old not quite antique telephones). These old telephones include the iconic Bakelite telephone, the candlestick telephone, 1/232 (200 series) phones. We mostly restore and sell Art Deco phones, including the classic 300 series black Bakelite telephones that you frequently see in old 1950s films or TV series such as the Deal Or No Deal Telephone, Ashes To Ashes Telephone or TV Burp Telephone. They are also cropping up in a lot of new TV adverts. Many people miss the old rotary dial BT telephone that they used to have on display, and want to re-live the joy of a dial telephone or other types of traditional phone. You cant better a genuine old telephone they are fantastic, far better than modern reproduction telephones. If you would also like to own a classic nostalgic vintage telephone please look through our traditional phones and then pick out a superb vintage phone that suites your needs and style. We have 1930's Bakelite Telephones, 1940's Telephones, 1950's Telephones, 1960's Telephones, 1970's Telephones and 1980's Telephones. 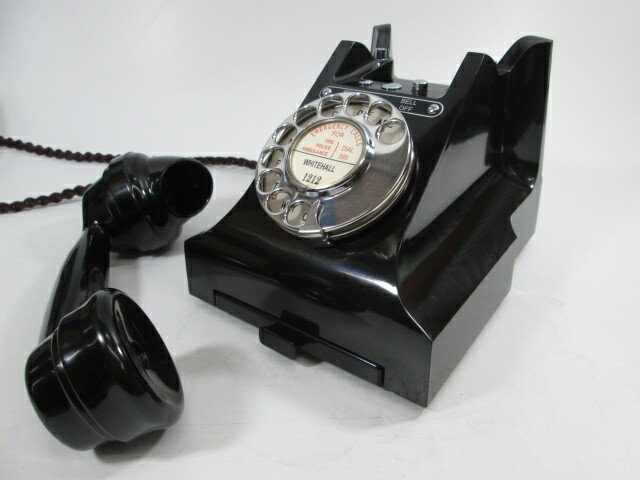 Simply buy a Bakelite phone, old phone or traditional period phone made of lovely classic Bakelite, and enjoy the classic sound of an old antique telephone bell. No modern day Telephone can compare to these wonderful vintage GPO phones. You can also see Retro Telephones and vintage telephones on display and for sale at Elsecar Antique Centre in South Yorkshire. Here you will find a small range of high quality genuine Old GPO Telephones. We believe that you will not find better period telephones for sale anywhere else in the UK. All our old phones are genuine original antiques, not the low value poor quality modern copies that you see for sale in the shops or on various auction sites. On display and for sale on our main website you will see antique Bakelite phones, old telephones and collectable vintage telephones. This is the perfect place to see and buy an antique Bakelite telephone or a 1930's antique Candlestick Telephone. We believe there are very few things as beautiful or collectible as a British vintage dial telephone. How often have you seen a black vintage telephone used as a theatre prop, or on TV and then thought I would love to buy and own an old telephone like that? Well now you can!